Animal advocates took a big step forward in their battle against the Georgia Aquarium last week when a federal district court ruled to allow them to intervene on the side of the government in an upcoming court battle. 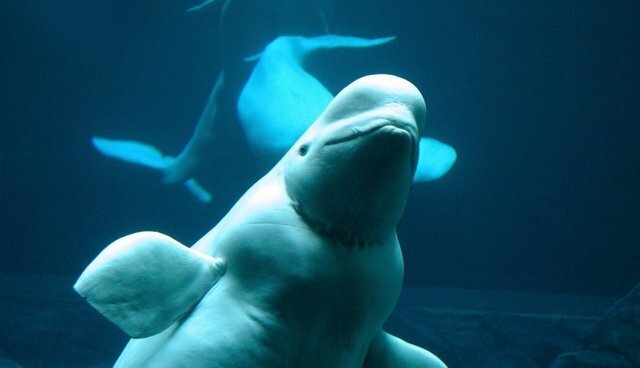 The ruling will allow the groups to inform and argue their case during the hearing of a lawsuit about the 18 belugas. This is the latest development in a complex case that began in June 2012, when Georgia Aquarium, Inc., submitted an application to the National Marine Fisheries Service (NMFS) for a permit to import the wild-caught belugas. Once imported, the whales would go to several different aquariums, including the three SeaWorld parks in Florida, Texas and California, and the John G. Shedd Aquarium in Chicago. If they were to be imported, it would be the first time in 20 years that the U.S. imported cetaceans purposefully captured from the wild for public display. But, NMFS denied this application in August 2013, saying that the import could hurt the beluga whale stock and encourage capturing wild belugas for other marine parks worldwide. Georgia Aquarium Inc. fired back, filing a lawsuit to challenge NMFS's decision. But with this week's ruling, the case will face a whole new line of defenses: the Animal Welfare Institute (AWI), Whale and Dolphin Conservation, Cetacean Society International, and Earth Island Institute, all of whom the court said "were instrumental in informing [NMFS's] determination to deny the permit." The organizations will now have a chance to defend the wild belugas from the U.S. aquariums' demands. "We are pleased that the court is permitting us to defend the agency's decision to deny the permit application, which was based on a rigorous scientific analysis," said Susan Millward, executive director of AWI in a press release. "The court must now uphold the agency's decision, which helps protect this stock from further depletion by cutting off the U.S. market for wild beluga whale imports." Animal advocates say that not only would the belugas -- which are currently held captive at a research station in Russia -- have to undergo stressful transportation over 24 hours, the U.S. also shouldn't support the capture of wild belugas. To make matters worse, the company that captured these particular whales, Utrish Dolphinarium, Ltd., in the Sea of Okhotsk in Russia has a long and sordid history of capturing other cetaceans, including wild orca whales. "The US public display facilities involved with this import request claim that they are committed to the conservation of cetaceans, but in this case they chose to deal with Russian entities that have captured hundreds of wild beluga whales," noted Mark. J. Palmer, Associate Director of the International Marine Mammal Project of Earth Island Institute. "Sadly, I believe that these facilities are likely to submit future requests to import additional wild-caught cetaceans, unless a clear message is sent that sourcing cetaceans from the wild does not contribute to their conservation."